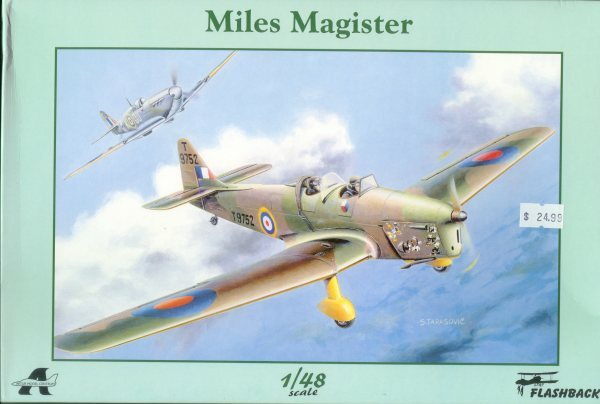 The Miles Magister was the RAF’s first monoplane trainer. Designed to meet Air Ministry Specification T.40/36 for development of their previous M.2 Hawk as an elementary trainer for the RAF. Of similar design and all-wooden construction, the new airframe was to incorporate enlarged cockpits and blind flying equipment. The prototype M.14’s first flight came in March, 1937 and initial deliveries began the following May. The aircraft, now sporting the name "Magister", was found to have spinning problems; these were promptly corrected and the modified aircraft and subsequent production types were designated M.14A. Production ran from 1937 to 1941, and over 1300 were built, in the UK and under license in Turkey. During peak service use, the type equipped 16 Elementary Flying Schools and the Central Flying School, the British Army and the FAA. They also served the air arms of Turkey, Egypt, New Zealand and Ireland. The last example was retired from RAF service in 1948; many were sold on the civilian market after the war, and were popular with flying clubs. The choice of subject for Eduard’s latest kit is … odd; one doesn’t see many trainers or civil aircraft on the market, let alone in 1/48 scale, state-of-the-art tooling. 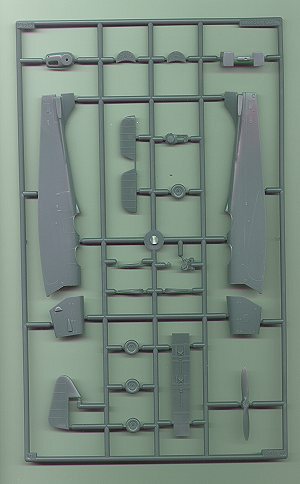 Inside the box are two sprues of hard, grey plastic, a fret of photo-etched stainless steel details, an acetate sheet with cockpit instrumentation, decals and instructions. 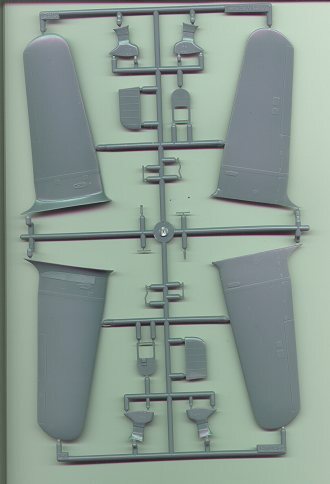 The plastic parts build up the airframe and most of the interior. Detail consists of raised bits and engraving, where appropriate. The scribing is fine and crisp, and deep enough that it won’t vanish under the first coat of paint. The rest of the detail, and the molding, is on par with that of current Japanese kits … except that there are no locating pins. Parts breakdown is pretty straightforward: right & left fuselage halves, top and bottom wing halves, etc. One nice touch is the separate cowling – that should make painting the Egyptian scheme easier. The only thing I don’t like is the landing gear. I’ve seen a number of pictures of this aircraft with the spats removed, but you don’t get that option here. The stainless steel and acetate bits add detail to the cockpit – seat harnesses, sidewall details, and instrument panels, mostly. Nothing special here, except perhaps to note that some pieces are extremely fine, so be careful snipping the off the fret. The instruction sheet provides a parts list, assembly guide and decal/marking charts. The assembly sequences are depicted in the standard exploded diagram format. They appear adequate. 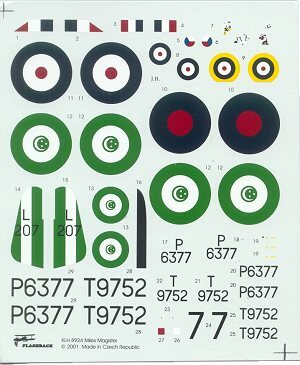 The marking/painting guide for the three aircraft is quite concise and should be easy to follow. Colors are called out in generic terms (i.e. "Trainer Yellow", "Dark Green", etc.) . No particular manufacturer’s products or FS numbers are referenced. Decals are provided for three machines: two RAF and one Egyptian. The RAF aircraft are in green/brown cammo over yellow, while the Egyptian is a quite colorful overall yellow with aluminum cowl. I don’t know who printed the decals. They are crisp and perfectly registered, and the colors look accurate. I assume they’ll be like all the Czech decals I’ve had experience with – extremely thin, somewhat difficult to position, and not needing much (or any) decal solvent. 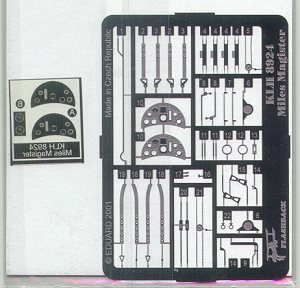 This kit looks like something all but the most novice modeler can have built over the course of a rainy weekend. I don’t anticipate any problems building it. The subject is interesting (at least to me) and definitely a change. If you would like your product reviewed fairly and quickly by a site that averages thousands of visits a day, please contact me or see other details in the Note to Contributors.